On February 13th I had the opportunity to join actor and author Hill Harper to teach almost 3,000 8th grade students from Chicago about how to be smart with money. 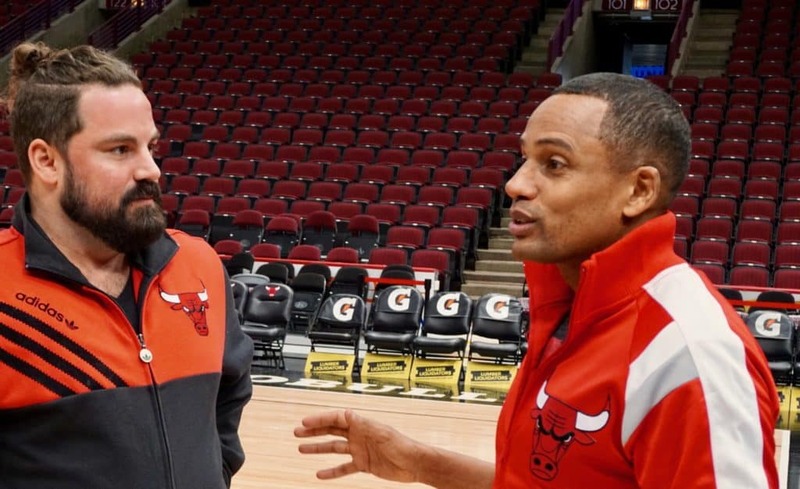 And as an added bonus I got to hang out on the Chicago Bulls court at the United Center – the same one where Michael Jordan crushed it in the 1990’s. The Chicago Bulls have been my favorite basketball team since I was a kid, so to say it was cool to walk on the court was in an understatement. The event was set up by Mass Mutual to promote FutureSmart, their initiative to reach over 2 million students and families through financial education initiatives by 2020. It was a real honor to be a part of such a cool project. To be honest, it was one of the coolest money events I’ve been a part of, definitely because of the venue, but more importantly because the information that was shared with the kids was on point. Throughout the 2-hour event, kids learned about the fundamentals of personal finance, like compounding interest, good and bad debt, and how to responsibly use credit in an entertaining and engaging way. 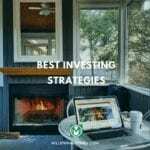 One particular area of caution was on payday loans, which are small short-term cash loans with really high-interest rates. The kids were shown three scenarios for buying a new laptop computer, which illustrated how much more it costs using credit or rent to own programs. 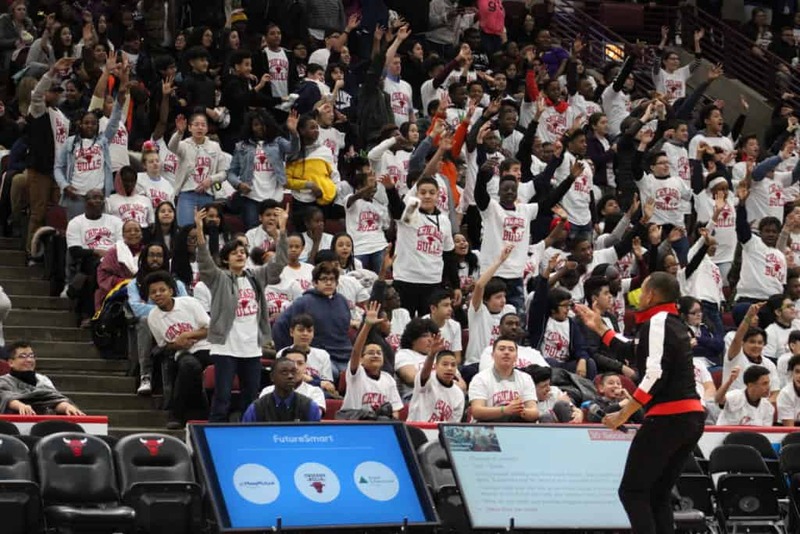 I’ve never seen 3,000 kids so excited to learn about money – the United Center, no joke, was almost as loud as it was when I attend Chicago Bulls basketball games. There was a DJ so the kids were dancing and the Chicago Bulls dunk team put on an awesome show. Hill Harper, the actor from CSI: NY and one of my all-time favorite movies from back in the day “The Skulls” led the event with a ton of energy and solid advice. These kids were fired up. And a vast majority of them were really engaged and paying attention, which is remarkable for such a large group of 8th graders. It was actually inspiring to reach so many students. 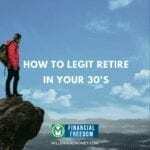 As part of my personal mission, I want to teach as many people as possible how to make smart money decisions, so I’m excited to start reaching younger kids and students in addition to my Millennial Money work. While I do occasionally get emails from kids in high school, this was the first time I was able to participate in an event targeting such a large young audience and I can’t wait to do more in the future. If you work in a school, have kids, or know a school that doesn’t teach personal finance or financial literacy, Mass Mutual is always looking for more schools to share this free program with. Check out FutureSmart to learn more. 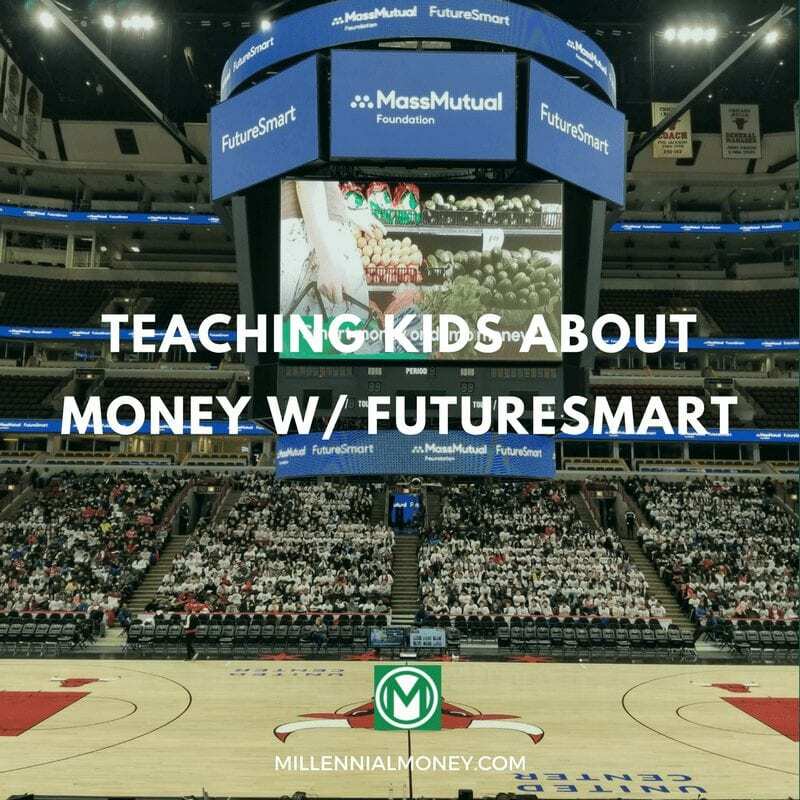 So glad to see programs like FutureSmart popping up. 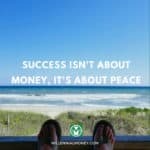 It’s never made any sense to me that personal finance is not a high school or college class. At the very least, it should be an elective. At least the younger generations are educating themselves, and can then pass on what they’ve learned to their children. 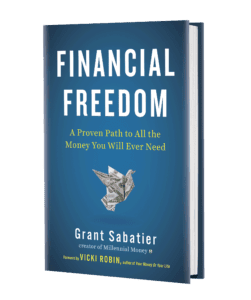 Plus, with programs like FutureSmart coming out, a knowledge of personal finance should become more and more commonplace.